Can you help to name our new rare breed piglets? We’re all familiar with the story of the three little pigs, and now you can see them for yourself at Sacrewell this half-term. Three five-week-old rare British Lop piglets arrived at the site last week to spend winter at the farm and activity centre with Sacrewell’s resident sow Ada for company. These piglets are especially rare some are the last in their bloodline. Marketing executive Megan Allen said: “We have two female piglets and one male which we are caring for in our cattle yard. As a food and farming charity, Sacrewell is very proud of its rare breeds, and is also home to Lincoln Longwool and Jacob sheep. 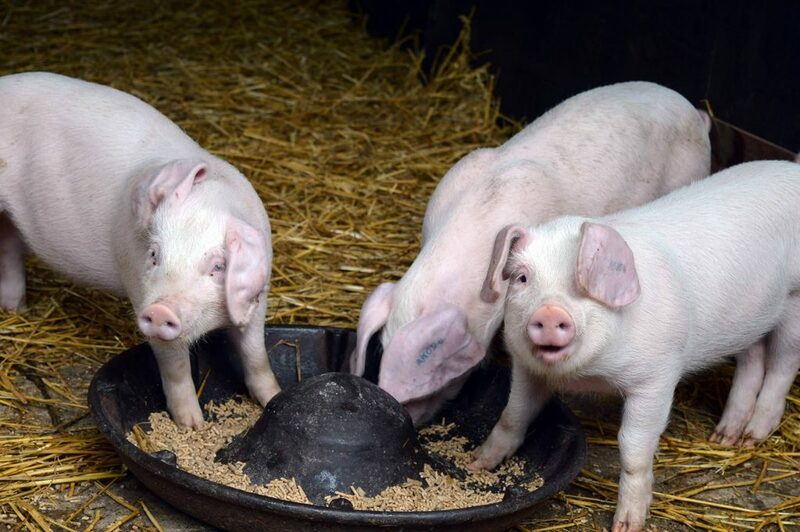 British Lop pigs are classed as vulnerable and the charity is hoping to establish its own bloodline of Sacrewell British Lop pigs in the near future.